Unexpected is the only word I have to describe how this week went for me. I have been thinking, but then on Jan 2 is when I finally sat down and locked my Goals for 2012. And surprisingly, I have been done well against my goals – exceeding my expectations. As I did state in my goals, if I can drop watching TV, I would have a lot of time on my hands and yesterday and today simply proved how true this statement was. I was able to wrap up a 500 pager book by simply not watching TV. I now just need to find ways to utilize my time more productively – before I end up developing a habit of reading books that leave as just as lazy. After 4 years of blogging, things are finally paying off. The second objective was much more important to me than the first one. And now, that I am already writing for DZone and now this new partnership – I feel a sense of proud that people who may have never met me are having an active dialogue with me through my work and they may be discussing it elsewhere. 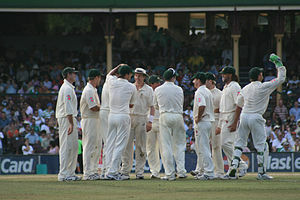 In the sports arena, India lost their 2nd test match against Australia and it is their 6th straight loss abroad. A team that was ranked #1 just a few months back just and then they dropped to #3 after being whitewashed by England. They got back to #2 only because SA was not doing so well. Another whitewash is looking on the cards ans this will take India to most certainly #3 and may even push then down to #4 (Australia may be #3). Last year when India was riding the success of their World Cup victory, I wrote a few articles about Dhoni and how he had missed a cue. Suddenly, when I was reading the news today morning – Gavaskar, and other experts were saying the same thing. Australia is back to it resurgence and I have a feeling that very soon we are going to see them back to where they belong. 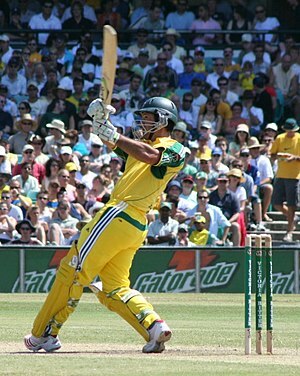 Unless Dhoni does something different – he is simply going to wash out himself. Preeti and Aabhya have been in Muzafarpur for this entire week; while I was supposed to fly out on Friday – some office work kept me back in Delhi. Last night when I went to sleep – I was missing Aabhya like anything. Today morning – Aparna also went back home and Misha is also gone. She reminds me of my days with Aabhya – but Aparna is too paranoid about so many things, that I do not spend too much time with Misha. But, my short visits to her room and whatever time I spend with her makes me happy and brings back all the memories of time I spent with Aabhya. Misha is a very quite child and will look so intently at you that sometimes I think that how can a child so small have such a good focus (maybe it is not, but it sure seems she is observing a lot).